All the trunks are stripped of bark to remove all the undesirable materials (earth, pebbles, metal…..) which would interfere with good sawing qualities. Then the walnut blocks are conditioned (steamed in water vapour to give an homogeneous colour to the wood and remove the sap to allow for better drying) and are preventatively treated against parasites by immersion in a tank. After these interventions, the boards are stacked (billeted) separated by batons, in different lengths and thicknesses ready for natural air drying or for drying in artificial atmospheres. 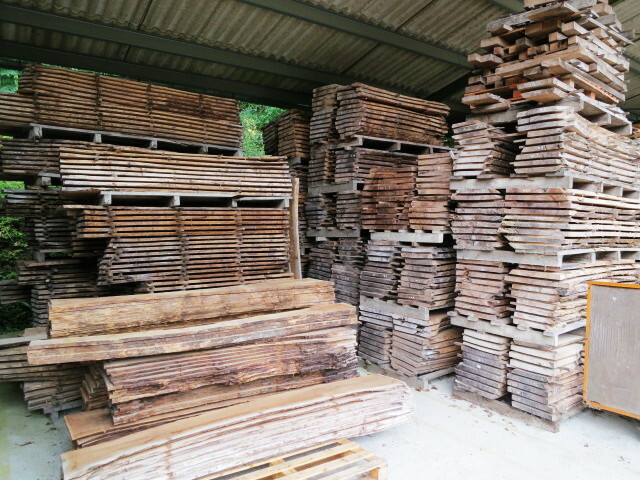 The lengths of the walnut blocks are between 2.00m and 2.90m. We can do customised sawing to give lengths and thicknesses to the client’s requirements. 1er choice boards : Cut length of the trunk, straight wood without blemishes like knots, with a good diameter. 2ème choice boards : Cut length of the trunk, the wood may be banded with some blemishes and some clean knots. Wormed walnut : the same characteristics as 1er and 2ème choice, but with the wood altered by black worm holes. Ideal for reproduction furniture and furniture restoration. 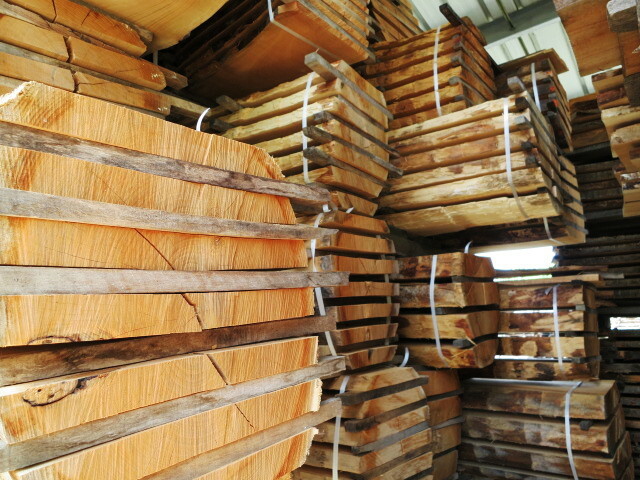 Large branches : these are the largest branches which are sawed in the same range of thicknesses as the boards. The wood has less grain but is more patterned and with clean knots, all of which adds to the character. 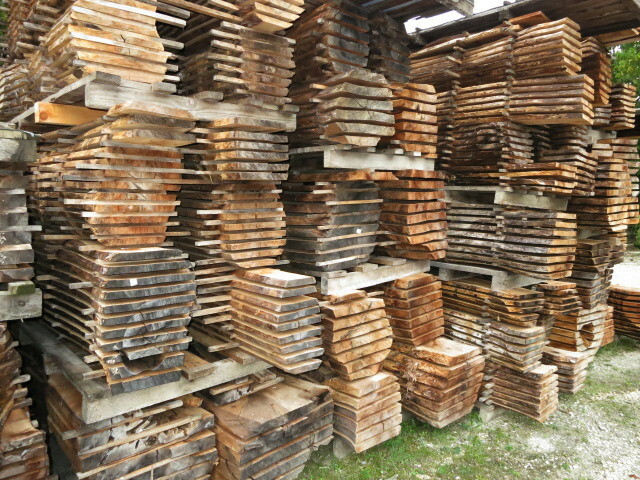 We also produce cherry wood boards, even though this is not a wood from our region. We do this because cherry wood has always been used by cabinet makers in the same way that they use walnut. Our cabinet maker and carpenter clients appreciate the practicality of finding their primary materials at the same producer.